The NC Museum of Natural Sciences is holding its annual Reptile & Amphibian Day, and the focus is on Snakes! If you have the guts, go for the snake feeding at 2p and 4p. Otherwise, visit one of the many info booths with turtles, snakes and other lovely critters. 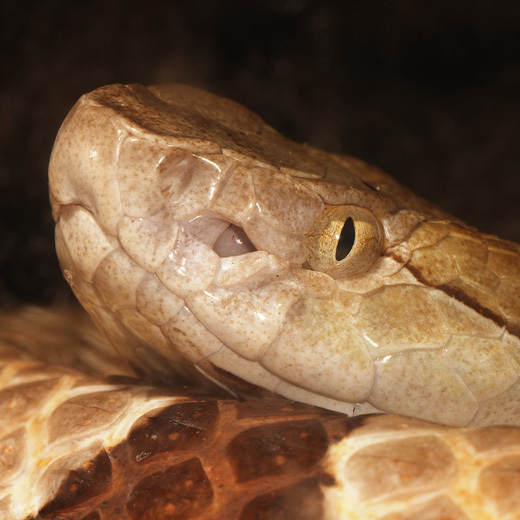 There are local snakes like the copperhead, and international visitors like Gila Monsters and Geckos from Madagascar. Copperhead by P. Wood used under the CC BY_NC_SA license. This entry was posted in Animals, Indoors, Nature by daddyweekly. Bookmark the permalink.